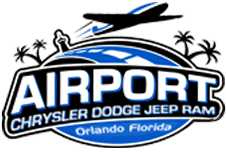 Shop the 2019 Jeep® Wrangler MOAB™ in Orlando, Florida with the help of Airport CDJR. This Limited Edition Jeep model joins rock-crawling capabilities and intense safety features to bring you the most capable Jeep drive yet. The 2019 Jeep® Wrangler MOAB™ is truly an SUV without limits. Whether you're looking to enjoy a leather-trimmed interior or a nine-speaker Alpine® Premium Audio System, it appears that the Wrangler MOAB™ delivers. The Wrangler MOAB™ does not just talk the talk –– it walks the walk with its three 4x4 systems and steel skid plates. 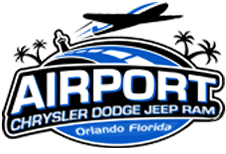 According to Jeep's website, the 2019 Wrangler wears the Trail Rated Badge with honor, which means that it can withstand difficult conditions with superb off-road capability. So, what makes the new Wrangler MOAB™ better than the rest? Traction: The new Wrangler has 4x4 systems that help handle traction on the ground level. Water Fording: Thanks to a design with high air intake, the Wrangler doesn't worry when it crosses small creeks or streams. All of the electrical connections are sealed with moisture resistance body openings. Maneuverability: The Wrangler can navigate around fallen logs and rocks with its precision steering systems and enhanced wheelbases. Articulation: We all know that a quality suspension is everything. The Wrangler has that and more, with its maximized flexibility. Ground Clearance: The Wrangler is sought after because it offers an amazing ground clearance, which makes driving over obstacles easy. Rugged ski plates defense the important underbody parts as you make your way across difficult landscapes. The MOAB™ is always ready to hit the roads less traveled. The 33-inch off-road tires, rock rails, and steel bumpers are all notable features that the new MOAB™ offers. Let's not forget the LED lighting, which makes it easy for drivers to see what's ahead at night. The front and rear Tru-Lok® electronic locking differentials ensure that power is evenly distributed on difficult surfaces while the 4:1 low-gear ratio, the Rock-Trac®-equipped Rubicon can strengthen your grip on the ground. If you're inspired by the 2019 Jeep Wrangler MOAB™, we invite you to schedule a test drive online now. Stop by and see how easily the front wheels can drop and compress on difficult terrain and find your happy place. The new MOAB™ has all of the makings of a warrior vehicle, so visit today and check it out.